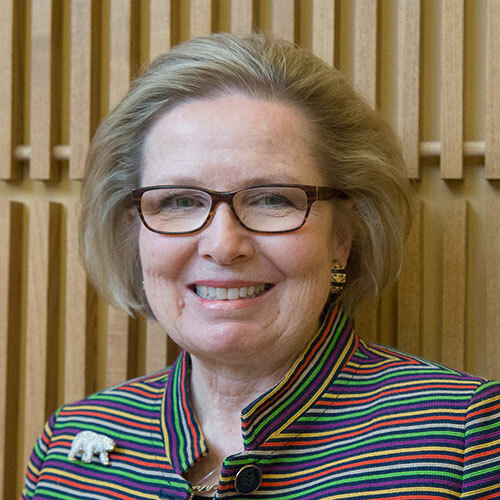 As president of the World Trade Center of Greater Philadelphia (WTCGP), Linda Mysliwy Conlin oversees the Center’s day-to-day operations and program development. In this capacity, she is responsible for establishing and executing key goals, objectives, and strategies for the WTCGP. A 501(c)(3) nonprofit organization, the WTCGP provides a world-class portfolio of international trade services and key global connections to help the region’s companies succeed in global markets, expanding the economic growth of the region as a whole. A member of the World Trade Centers Association, the WTCGP connects businesses in the Greater Philadelphia Region to over 750,000 world trade center members in 96 countries. Conlin most recently served as vice chair and a member of the board of directors of the Export-Import Bank of the United States, where she led efforts to expand financing to U.S. exporters, including small and medium-sized businesses, predominantly in emerging markets, through direct loan, loan guarantee, and export credit insurance programs. With over 25 years of experience in international trade, trade finance, and public policy, Conlin’s career includes serving as assistant secretary for trade development with the U.S. Department of Commerce and as executive director in New Jersey’s Commerce and Economic Growth Commission from 1994 to 1999. She also held positions at the U.S. Travel and Tourism Administration, the U.S. Department of State, and the U.S. Information Agency.